After Holi, how do you wash off the colors? I had the pleasure of taking part in a Holi Festival last weekend and it was insane. Holi is a festival from the Hindu faith celebrating the arrival of spring, the arrival of good harvest, and the victory of good versus evil. It’s majorly practiced in India but has spread to other parts of Asia and Europe. Last Sunday, Mar. 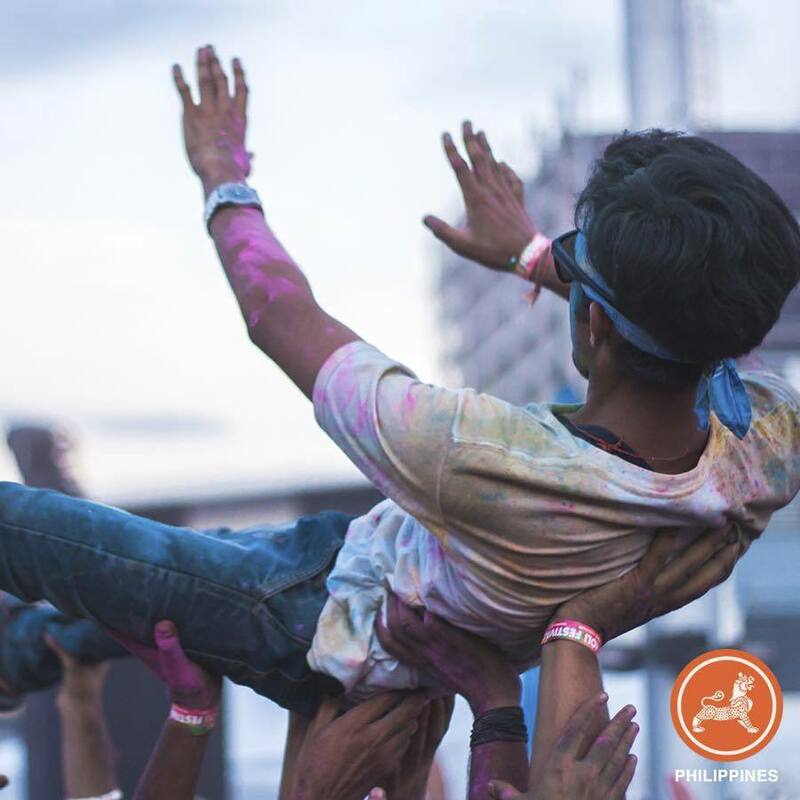 18, Manila had its own Holi Festival at SM by the Bay organized by Asia Society Philippines and the Embassy of India. It’s an annual event that’s been going on for six years now, and it’s always a blast. Most of the people who went were members of the Indian community in Metro Manila, being that the festival serves as an avenue for the Indian community to come together and celebrate their culture. But Filipinos and other nationalities were more than welcome. 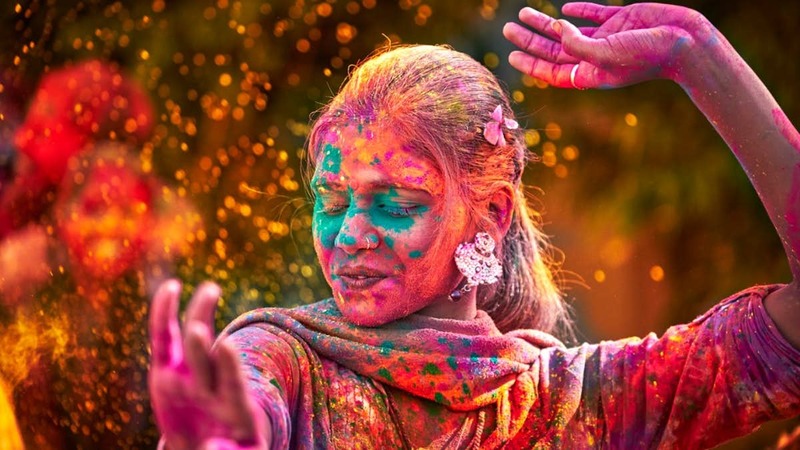 Unlike most rituals in many religious faiths, Holi is known as a free-for-all. You don’t have to be a practicing Hindu or an Indian to celebrate it. As far as the festival is concerned, we are all global citizens and we all must celebrate forgiveness and the victory of our internal good over our internal evil. There were authentic Indian food, music, and performances from Bollywood and Bhangra, and, of course, plenty of gulal (colored powder). There’s gulal thrown at your face, smeared on your arms, your back, your hair, everywhere. There was gulal everywhere. I’m pretty sure I still have some in my hair. As fun as the dancing and festivities were, the tricky part comes after. How do you remove all of the gulal on your body and in your hair? Here are some tips. Moisturize before taking a bath. For the skin, combine wheat flour with any type of flour to make a sort of paste. If you have acne, combine the wheat flour with aloe vera. Apply this paste to the colored areas before showering. For your hair, apply coconut oil, egg yolk or curd to your scalp before washing. Leave it for 45 minutes, before rinsing it off in the shower. This will help minimize the damage and help remove the colors from your hair and your scalp. Don’t wash with soap or shampoo right away. This might cause damage to your skin and hair. Rinse the moisturizers off with water first. Once all the moisturizers and the colors have washed off, only then should you use a mild soap, shampoo, and conditioner. Use cold water when washing the gulal off. Hot water will just make your skin absorb the colored powder some more. Make a facial using banana, honey, and curd to moisturize your face after Holi. Take one banana, mash it, and then mix it with a tablespoon of honey and curd. Apply it on your face, and let it sit for five to seven minutes. To help bring back the shine to your hair after the Holi mess, get some methi powder and curd. Mix one tablespoon of methi powder with four tablespoons of curd, then apply it on your hair. Leave it for 15 minutes before washing.